The Peugeot 301, which was developed by PSA for emerging markets, is expected to be the automaker's best-selling model in China this year. BEIJING -- PSA/Peugeot-Citroen expects sales of its Peugeot brand in China to rise at more than twice the rate of the market this year, helped by models such as the 3008, 301 and 408. Because of the growth, PSA expects China to pass France as the Peugeot brand's largest single market in 2014. Peugeot China Deputy General Manager Mathieu Vennin forecasts that Peugeot brand's local sales will increase 30 percent to 370,000 this year in a market that is predicted to rise about 13 percent. Last year 275,000 Peugeots were sold in China, 14,600 fewer than the 289,600 sold in France. Vennin said Peugeot vehicles such as the 3008 SUV enjoy a strong reputation in China. The 3008 is selling well because Chinese buyers are “hungry for any size or form of SUV,” Vennin said in an interview at the auto show here on April 20. Peugeot aims to sell 70,000 units of the 3008 in China this year despite capacity constraints. It sold 16,500 units of the 3008 in the first quarter. The 3008 is Peugeot's No. 3-selling model in China. At No. 2 is the 308 compact sedan. Peugeot sold 20,000 308s in the first quarter with the full-year volume expected to reach 80,000. Peugeot expects the 301 to be its best-seller in China this year after the automaker started local production of the model in November. A key advantage the 301 has is its price. The 301, which was developed by PSA for emerging markets, starts at 80,000 yuan (about 9,250 euros) compared with a base price of 92,000 yuan for the larger and more refined 308. 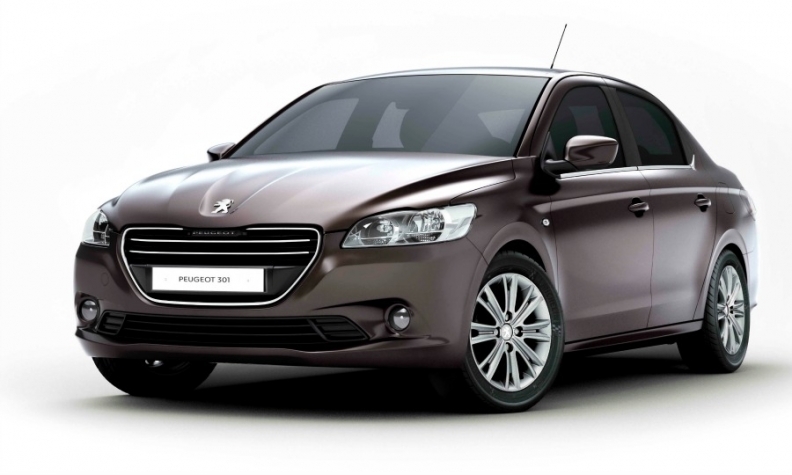 Peugeot expects to sell 90,000 units of the 301 in China this year after first-quarter sales were 17,900. Later this year Peugeot will begin China production of the 408, its new local flagship. The 408 is a long-wheelbase sedan version of the 308 compact hatchback sold in Europe. Peugeot does not plan to sell the 408 in Europe. PSA, together with joint venture partner Dongfeng Motor, plans to triple annual China sales to 1.5 million vehicles in 2020. Last year the partners sold 550,000 units – 270,000 Peugeots and 280,000 Citroens - and this year they aim to sell 650,000 vehicles. Last month, Dongfeng agreed to invest 800 million euros for a 14 percent stake in PSA to ease the French carmaker's financial troubles.